VeganMoFo 2018 – Potato Kibbeh – vegan in your city. One of my favourite indulgences is books. Especially kids books, and one of my favourite places to get them is Another Story Bookshop on Roncesvalles in Toronto. Yesterday I popped in to pick up a pre-order, and a few other books for our son, on the way out by the check out – on their fantastic and ever changing cookbook wall – they had Vegan Recipes from the Middle East by Parvin Razavi, so I bought it. 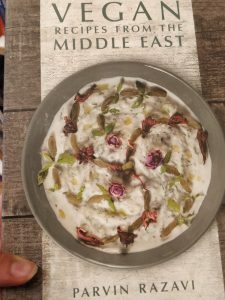 Flipping through was delightful, there were lots of colourful pictures and mostly straightforward recipes, and broken up into 6 sections by regions of the middle east. 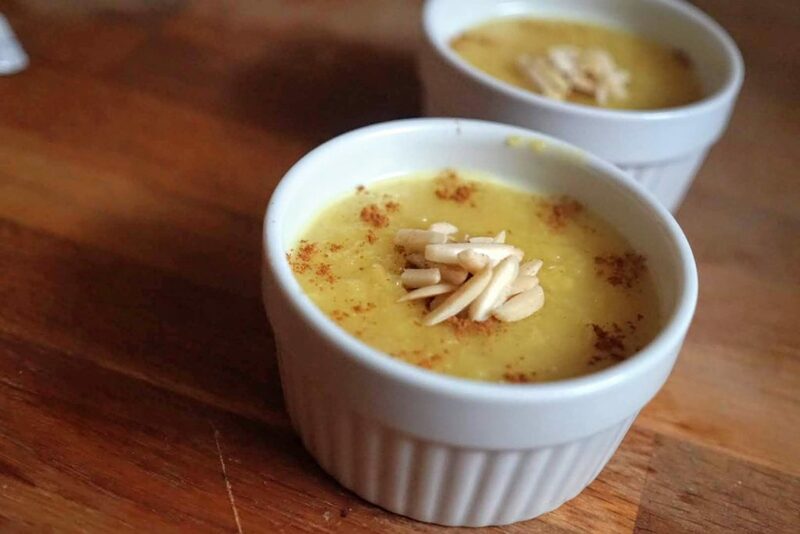 There are desserts and drinks and mains and appetizers, and they all look inviting and attainable – but what immediately jumped out at me was the Potato Kibbeh (on page 100), and I just knew I’d be making it today. I started the day off by throwing a bunch of potatoes in the instant pot so I could steam them for a few recipes I have planned for this week. 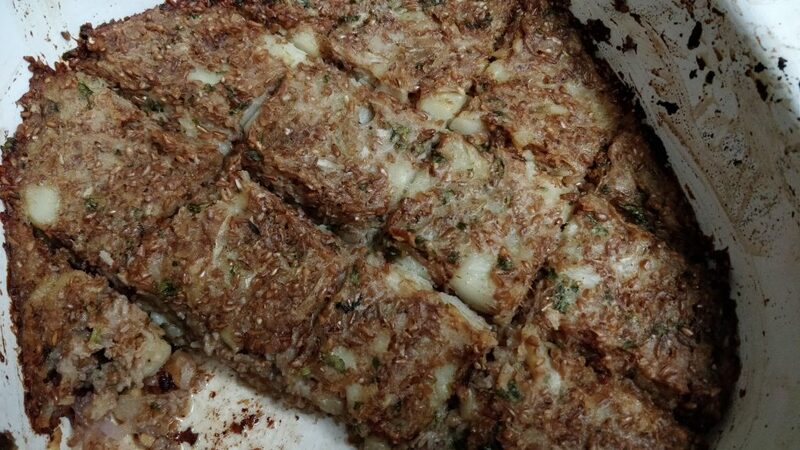 The recipe for Potato kibbeh was easy to follow – I left the skin on the potatoes and mashed them, then mixed them with soaked bulgar wheat, grated onion, spices, and threw it in the oven for about an hour. It was delicious – the cinnamon and mint flavours were subtle, but swirled together with the onion and danced on my tongue. The bulgar potato combo was texturally fun, as was the crisp crust of the kibbeh. I did opt for the walnut crust, which I think was a great choice. If you don’t have access to the book I’m using, you can also find a few different recipes for potato kibbeh online – I’m very interested in trying this recipe from Lands and Flavours sometime. It’s not beautiful, but it is delicious. I also paired this with a fattoush salad and a rosewater saffron rice pudding also from the same book. The pudding was amazing, and is definitely going to get added to my regular roster of tasty things I make at home.